A breath-taking 180-degree open abstract pop up gift card that is perfect for any occasion. 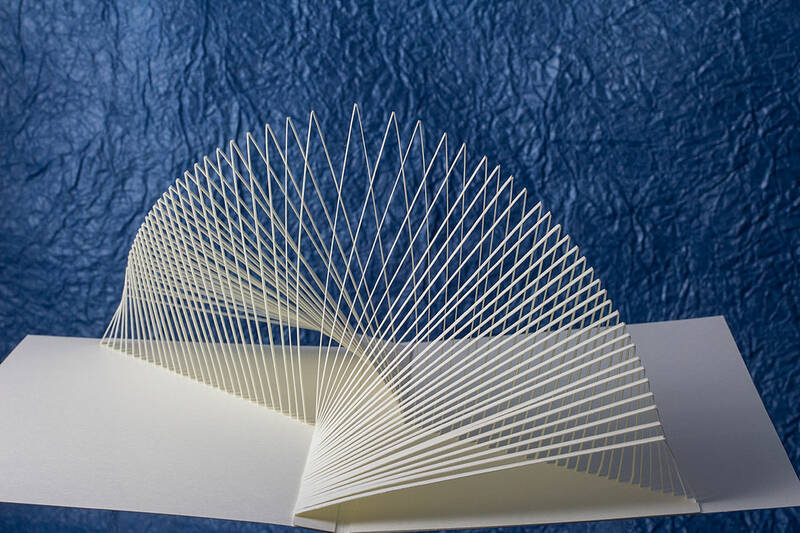 One piece of paper creates an ultimate space. 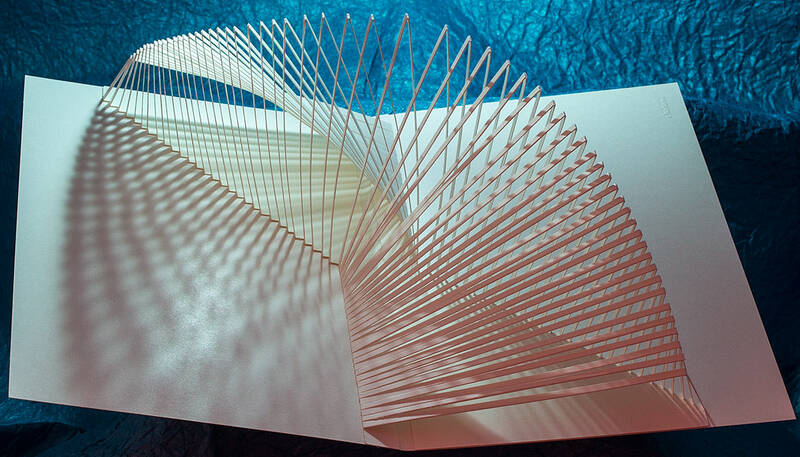 Countless lines produce 3-D space beyond the reality. You can have numerous different images whenever you see this paper from different angles. Infinite bright possibilities are waiting for you in the future. This would be a gift ideal for an unforgettable happy occasion in your life such as an entrance ceremony at schools and companies. 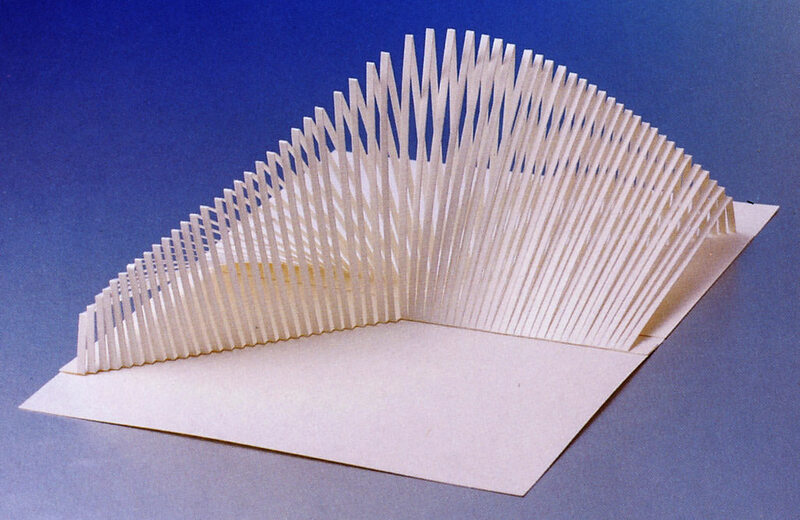 Commercially-produced die-cut, hand-assembled origamic architecture pop-up card and envelope. Cards measure 16cm by 11cm (about 6 1/4 inches by 4 5/16 inches) when closed. 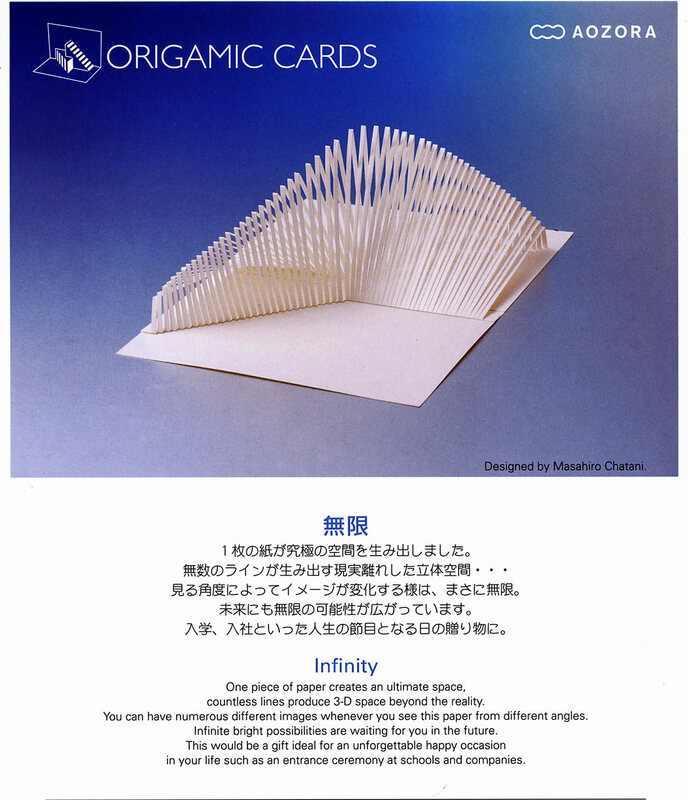 This elegant abstract tumult of stars in pop-up form from origamic architecture luminary Takaaki Kihara makes a perfect gift card for any occasion. This intricate pop up of famed London landmark and vaunted example of Bowellist architecture makes a wonderful gift card for architecture enthusiasts and movie buffs. This attractive abstract origamic architecture style pop up design makes a wonderful gift card for a birthday or any special occasion. Perfect for patriots and architects alike, this gorgeous and intricate pop up card models the center section and dome of the U.S. Capital Building.